Norwegian Wood Lattice Bisected By Curved 2-way-mirror by Dan Graham was the first work to be unveiled in the sculpture project. 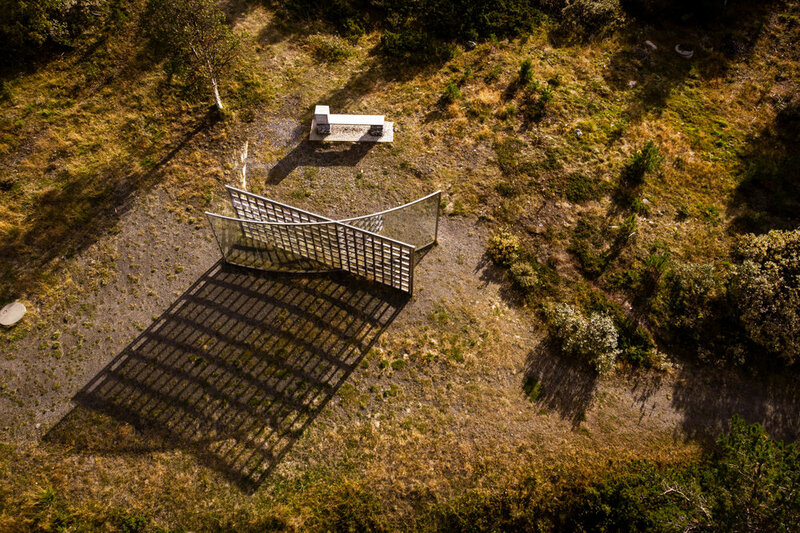 Dan Graham’s sculpture, or pavilion, is located on the banks of Lake Lemonsjøen in the municipality of Vågå. The artwork in wood and glass reflects the surrounding landscape and gives the viewer different experiences as one moves around the structure. With this sculpture Graham questions how we, the spectator, observe. The sculpture is made of glass and mirrored walls to let the spectator see both their own reflection and the reflection of the landscape. In this way the viewers become a part of the artwork. Through his sculptures Dan Graham explores a current issue with regards to how art is created today; what is the role of the spectator when viewing art? Graham’s approach is based upon the sculptural structure of the artwork. He considers his own works as instruments that allow you to see and be seen. Graham is an American contemporary artist whose artistic fields include sculpture, video, performance and architecture. He was one of the leading figures in the avant-garde art scene in New York during the early 1970s, along with both Robert Smithson and Gordon Matta-Clark. Graham’s politically oriented and conceptual art projects have been highly influential on subsequent generations of artists, in both Europe and the USA. Vågå in Gudbrandsdalen is a municipality in the county of Oppland, Norway. It is a gateway to Jotunheimen National Park. 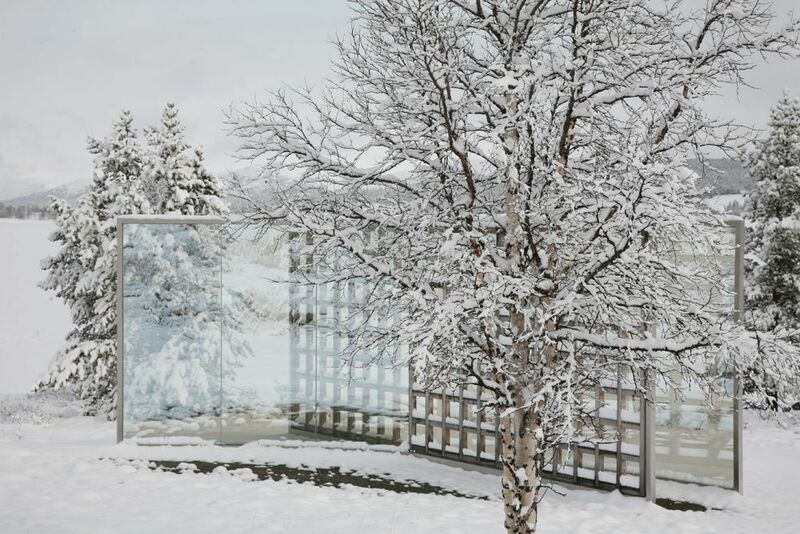 A typical feature of Dan Graham’s sculptures is that they provide an extra dimension to the experience of nature. Graham visited many locations before choosing the site at Lake Lemonsjøen. For him it was important that the work be placed in a location where people pass so that it would be seen, and that it would be close to water. In this way nature is reflected in the water, which in turn is reflected in the surfaces of the artwork.